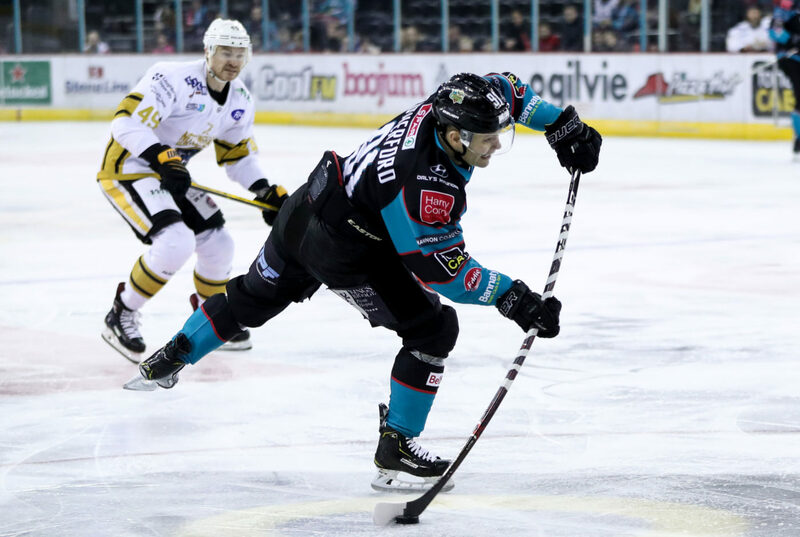 As if a chaotic 6-5 win over the Coventry Blaze on Friday night wasn’t enough drama heading into a huge Sunday showdown with the Nottingham Panthers- the news broke early morning that the Belfast Giants had signed 6’3″ Forward Jordan Smotherman from Iserlohn in Germany’s DEL. 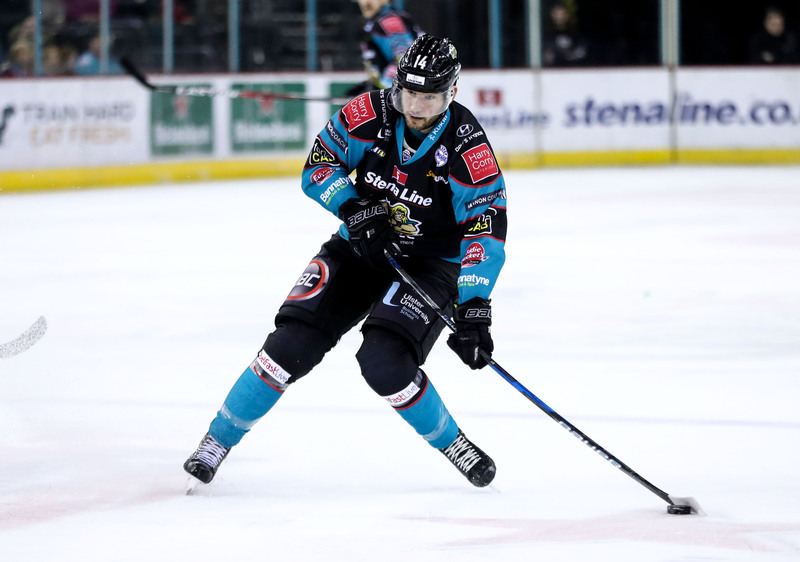 Well… he had technically been signed for a week; but after seeing Patrick Dwyer go down on Friday night’s webcast- he immediately boarded a plane to Belfast knowing Adam Keefe’s men would be down a body. If that doesn’t endear him to the Belfast masses- I don’t know what will. Speaking of crowd favourites- the great George Awada was back in town to take part in the ceremonial puck drop and enjoy a fan appreciation night courtesy of the Giants OSC. Don’t miss his exclusive interview in this week’s A View From The Bridge. 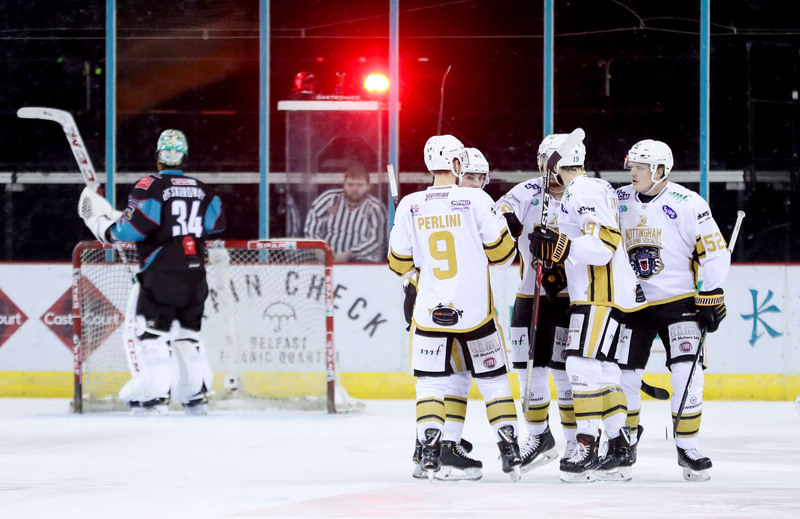 The Nottingham Panthers arrived in Belfast without Dylan Olsen, Joe Hazeldine and the suspended Jaynen Rissling. The Giants meanwhile were still without Guillaume Gelinas on long term injury layup, Hunter Bishop and Patrick Dwyer. 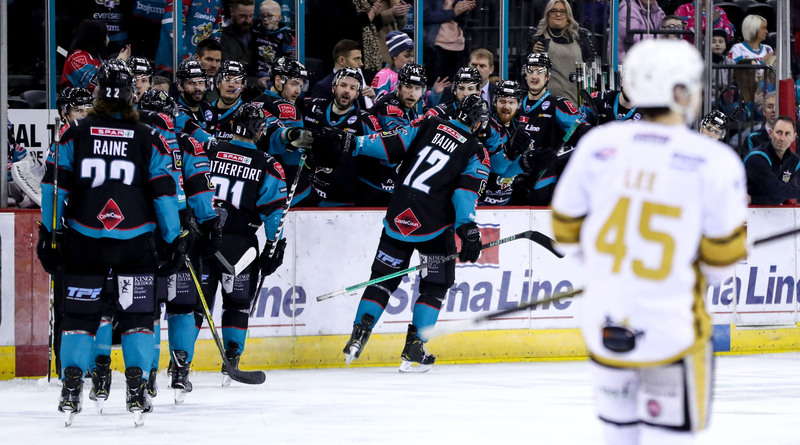 Belfast doubled the score just two minutes later through Dustin Johner, whose close range effort once again beat Garnett with an assist from Jim Vandermeer at 7.08. 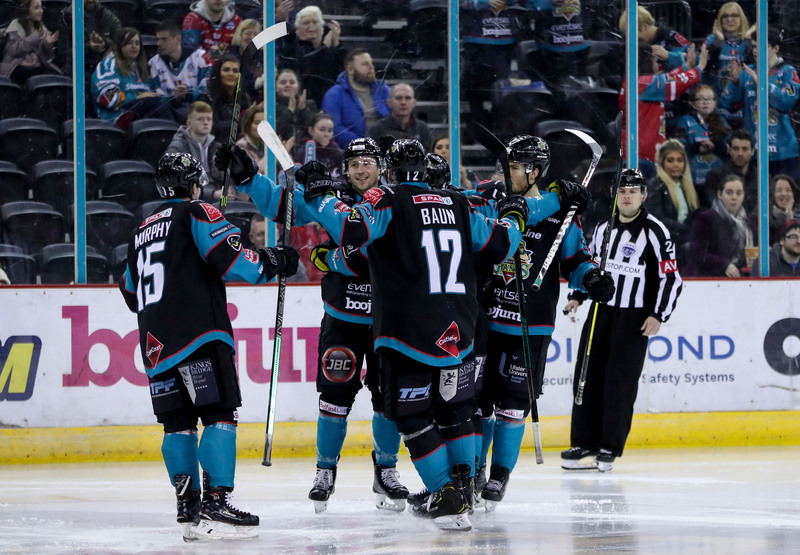 Colin Shields sat for a slashing call at 9.44 to compound the Giants’ frustration; however the PK unit stood tall for their first outing of the night. A pair of penalties (Raine holding, Lachowicz high sticking) sent it to 4 on 4 hockey, which expired seconds before Chris Stewart picked the puck up in the neutral zone, setting up Robert Farmer at the back door to pull the visitors to within a goal (4-3) with 11 seconds left in the period. Chris Higgins headed to the box for kneeing three minutes into the middle period- with Tyler Beskorowany throwing a hot glove to deny Chris Stewart on a breakaway. A much more settled second period unfolded, before Mark Garside headed to the penalty box for hooking with under 7 minutes left. The Giants penalty kill unit succeeded in pinning the puck in the Panthers zone for the majority. Jonathan Ferland followed him for tripping at 36.11, but the PK unit continued to battle. Tyler Beskorowany denied Luke Pither with a phenomenal flash of the glove as the period entered its final minute. In fact it’s fair to say that for large spells of the second- Beskorowany was the only thing keeping Belfast in the game. Blair Riley headed to the box for slashing at 41.03, a call he was visibly unhappy with. Following that kill, the Giants power play unit took over as Bolduc sat for hooking at 43.59- but were unsuccessful. The SSE Arena sensed the urgency as the game entered the final nine minutes- trying their best to rally their side from the stands. 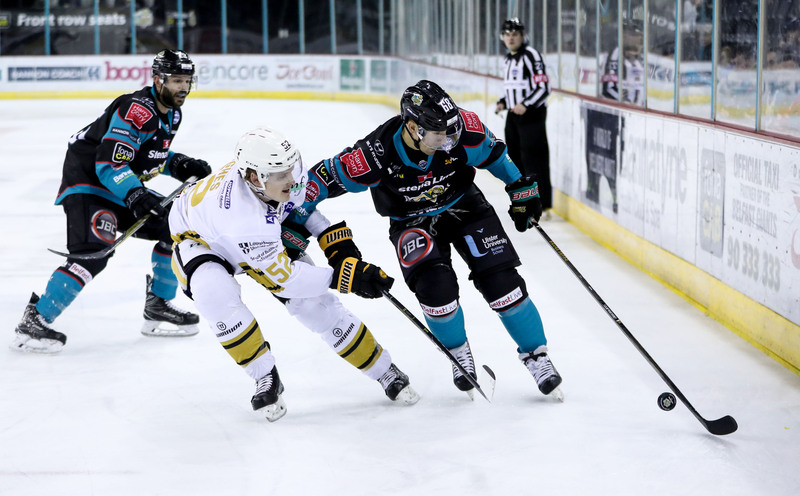 Jonathan Ferland was to sit for holding at 54.21, but Belfast’s PK shut down the danger, and the Nottingham Panthers called a timeout to roll the dice and pull Mike Garnett with 3 minutes left. And in a fairy tale ending, it was the debuting Jordan Smotherman who rounded off the scoring at 8-5 as the clock wound down.